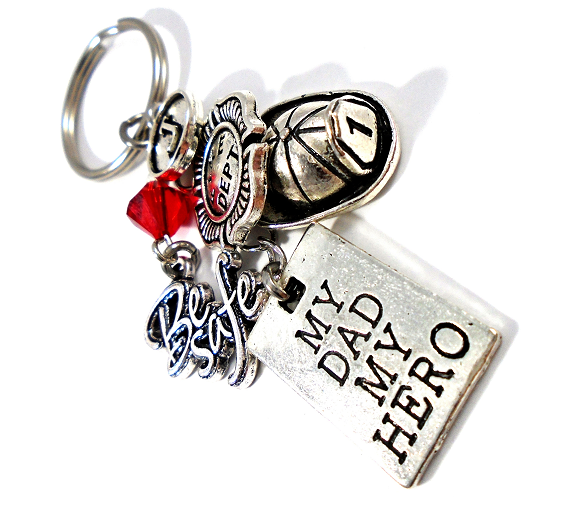 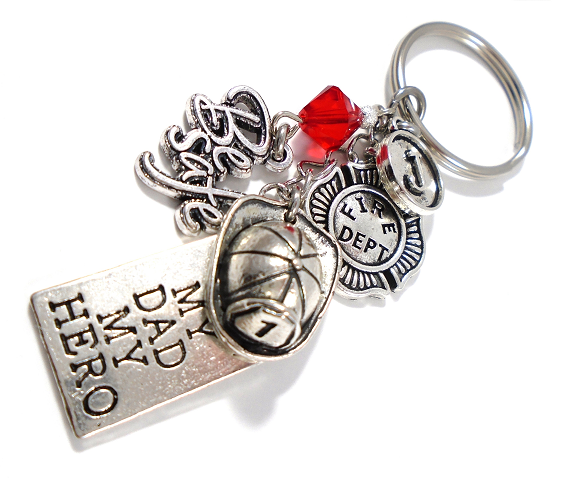 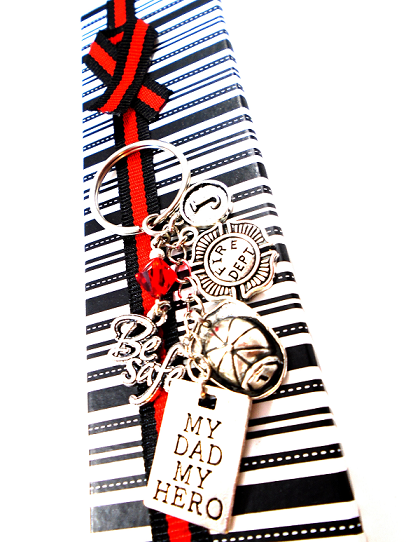 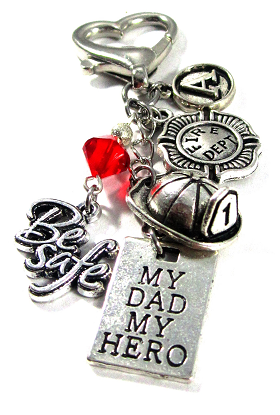 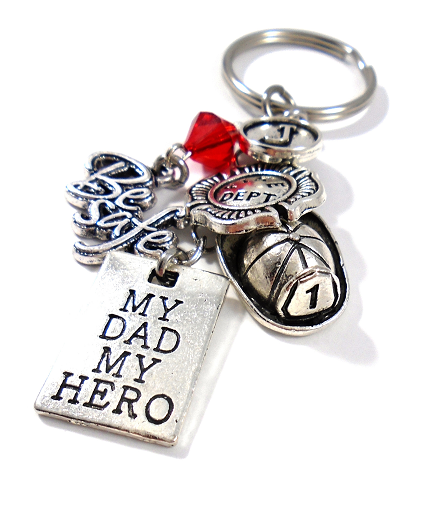 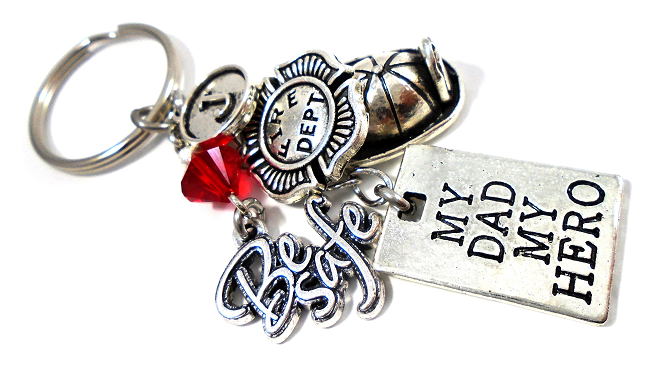 Beautiful Purse Charm or Key Chain to display in honor of your Fireman Dad ! 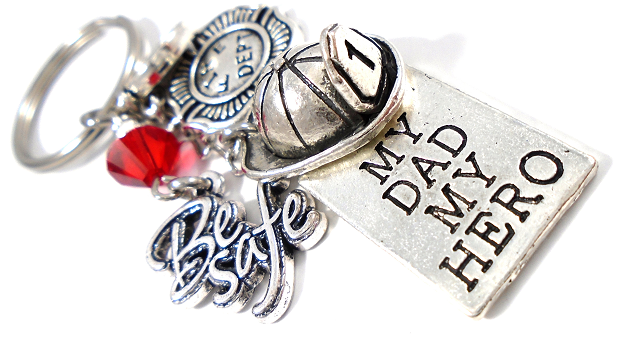 Your personalized purse charm or key chain will include a RED Swarovski Crystal followed by a dangling 'Be Safe' charm, an initial charm of your choice, a 'St. 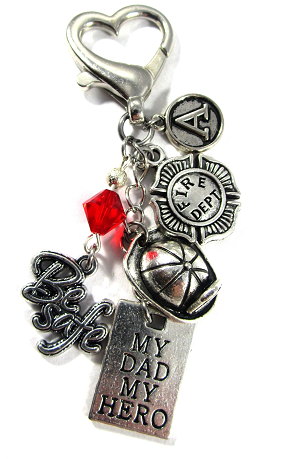 Florian Cross' Fire Dept. 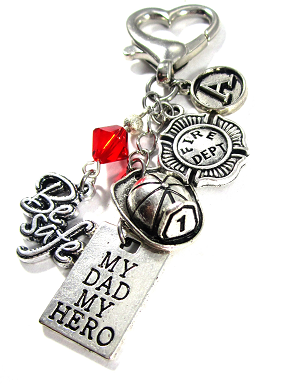 charm, & a Firefighter Helmet charm followed by a 'MY DAD MY HERO' charm.